Stephen D. Stone, 58, of Bethany, peacefully passed away on February 1, 2019 at Yale-New Haven Hospital surrounded by family. He was born on August 20, 1960, son of the late Eric L. Stone, Sr. and R. Lillian (Carlson) Stone. Stephen, who had Down Syndrome, was embraced by his parents and family and lived his whole life with them. He graduated in 1981 from Celentano School. Through his love for sports he learned to read and write, starting with team names and sports scores. He loved all sports and from its inception was an athlete with the Special Olympics. He followed the Olympic seasons, playing tennis singles and doubles, unified golf, bowling, and snowshoeing. All of the family’s dance genes resided in Stephen, who loved dancing up a storm at State Olympic Game dances, community music events, and special family events. He was godfather to his nephew Michael. He thoroughly enjoyed traveling with his parents to the west coast to visit his brother and extended family, and vacationing and playing miniature and disc golf with his Connecticut family. He was proud of his work through ACORD with his recycling team that took care of the SNET/Frontier building in New Haven. His contagious and ready smile made him friends everywhere he went, all whom he would readily invite to the most important yearly event: his birthday party. Stephen is survived by his sister Kristine Sullivan and her husband Gary, of Bethany; brother Eric L. Stone, Jr. and his wife Terry, of Pendleton, OR; nieces and nephews Eric Stone, III and his wife Chanda, Cory Stone and his wife Genny, Michael Sullivan and his wife Victoria, Margaret Lionsbeard Sullivan and her husband Matthew Bellemare, Thomas Hosen, and Diana Hosen-Catalde and her husband Robert; and six great-nieces and nephews. He was predeceased by his sister Nancy Ann Stone Hosen and her husband Martin Hosen. The family wishes to thank the staff in the YNHH ER and Floor 9 North who took such compassionate care of him before he passed. Relatives and friends are invited to visit with Stephen’s family on Wednesday, February 6th from 5:00 to 8:00 p.m. at Beecher and Bennett Funeral Home, 2300 Whitney Ave., Hamden. Burial will be private. A memorial service will be held on Sunday, February 10th from 1:00 to 3:00 p.m at the Bethany Lakeview Lodge, 265 Beacon Rd., Bethany. 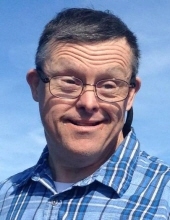 In lieu of flowers, memorial donations in Stephen’s name may be made to Special Olympics Connecticut, 2666 State St. Suite 1, Hamden, CT 06517 or Bethany Volunteer Ambulance Corp, 765 Amity Rd., Bethany, CT 06524. To send flowers or a remembrance gift to the family of Stephen D. Stone, please visit our Tribute Store. A memorial celebrating Stephen's life. All are welcome to attend. "Email Address" would like to share the life celebration of Stephen D. Stone. Click on the "link" to go to share a favorite memory or leave a condolence message for the family.